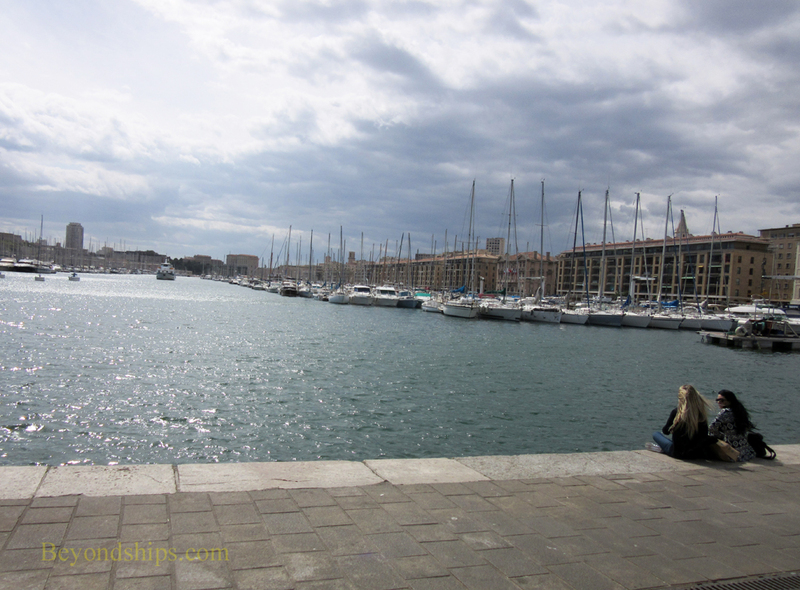 The Old Port (Vieux Port) is where Marseille began and is still very much the heart of the city. 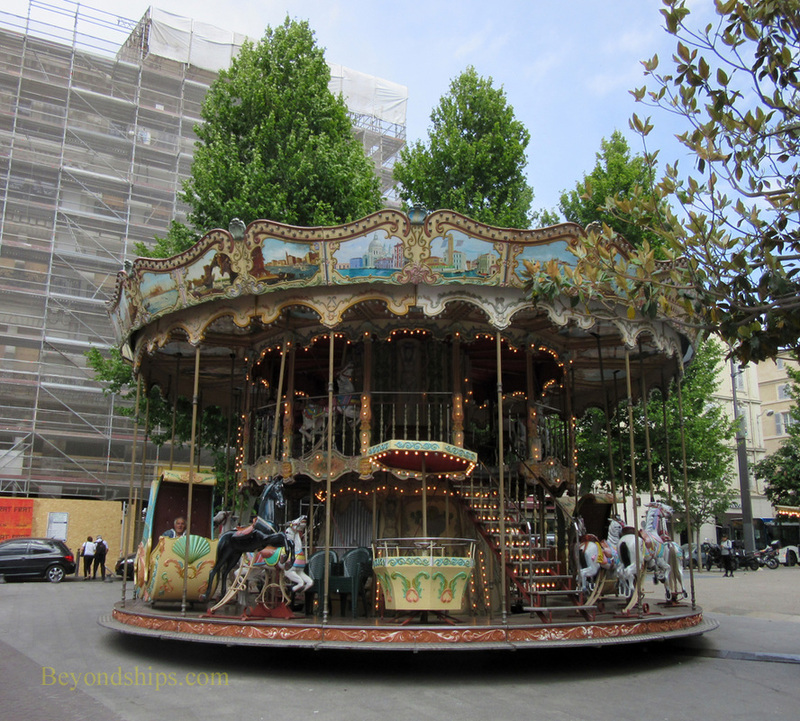 It is an attractive area with restaurants and cafes as well as historic sites and museums. It was here in 600 BC that the Greeks established a trading port. Over the centuries, the port grew so that by the 19th century it could handle over a thousand ships. However, the harbor is only 20 feet (6 meters) deep and thus was too shallow for the steam ships developed in the last half of the 19th century. Consequently, a new commercial port was built nearby at La Joliette. The Old Port also suffered during World War II. In January 1943, the occupying German forces dynamited much of the area including the Transbordeur Bridge, which had been considered an engineering marvel when it was erected in 1905. It took a long time for the area to fully recover. However, spurred on by being selected as the European Capital of Culture in 2013, the Old Port is once again a vibrant area for locals and for visitors. The Old Port is essentially a rectangle. One end opens to the sea. 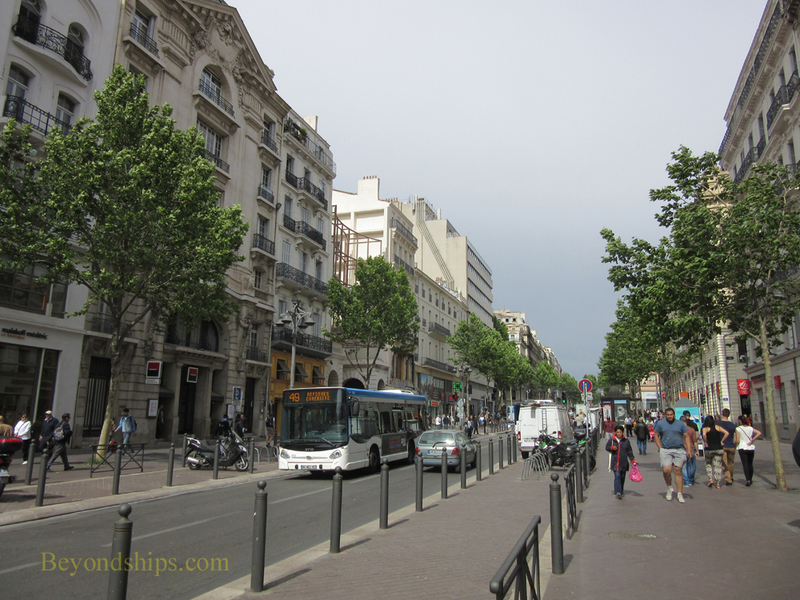 The long south side borders the Old Town and is known as Quai du Port. Opposite it at the base of La Gard is Quai de Rive Veux. The inland short side goes by two names: Quai de Belges and Quai de la Fraternate. Inside the rectangle are marinas with 3,500 berths for small boats. As a result, the sides of the Old Port are lined with a forest of sailboat masts. 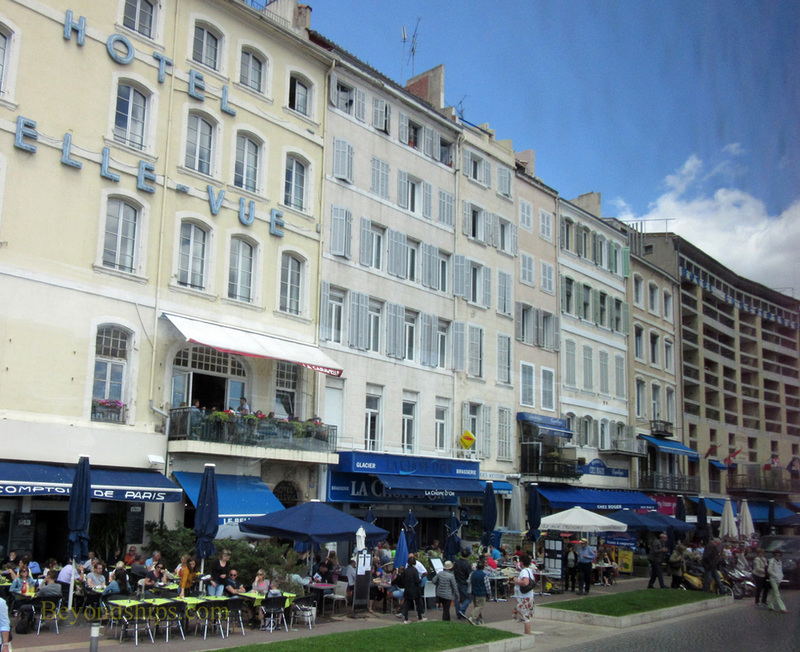 A general rule used to be that the restaurants were on the Quai du Port side and the cafes on the Quai de Rive Veux side. However, they have now intermixed. A free ferry takes people from the Hotel de Ville on the Quay du Port side to the Bar de la Marine on Quay du Rive Veux side. People stroll the sides of the port. By the inland end is a giant sun canopy with a highly polished underside that acts like a mirror reflecting what is going on beneath it. 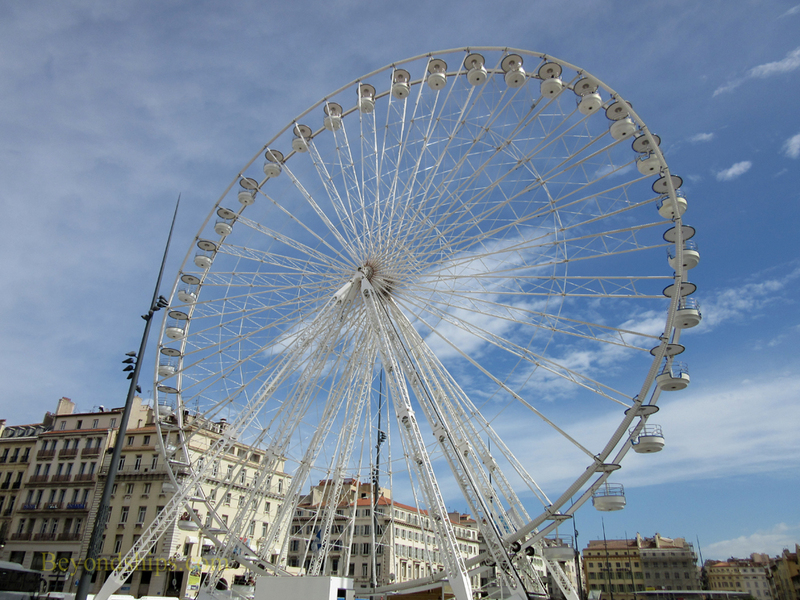 There is also a large Ferris wheel. Marseille's main street, the Canebiere, begins near here. The name means cannabis but does not relate to getting high. Rather, it reflects the fact that here factories once turned hemp into rope for the ships using the Old Port. In the 19th century, the Canebiere was a fashionable address with grand hotels, restaurants and residences. 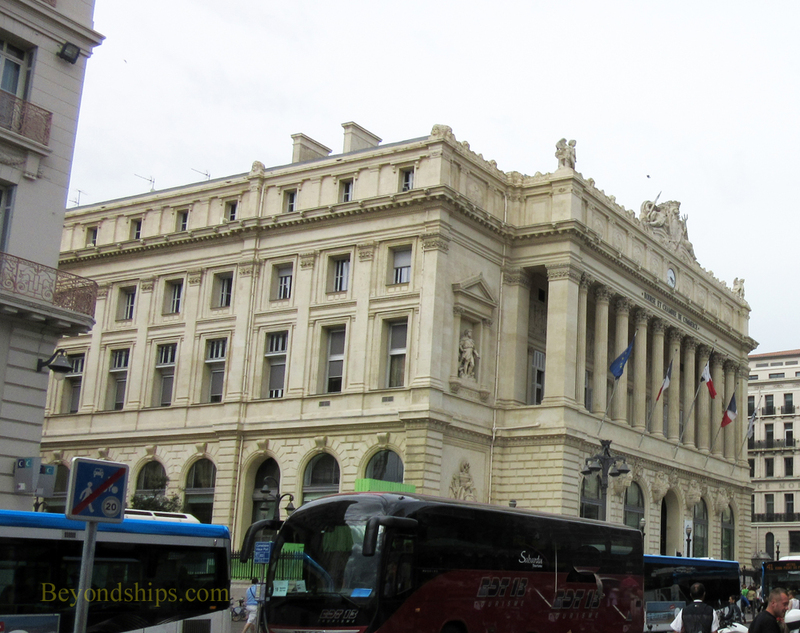 Some of the great Second Empire buildings such as the Palais de la Bourse (Stock Exchange Palace), which now houses the Musee de la Marine de Marseille, can still be seen today. 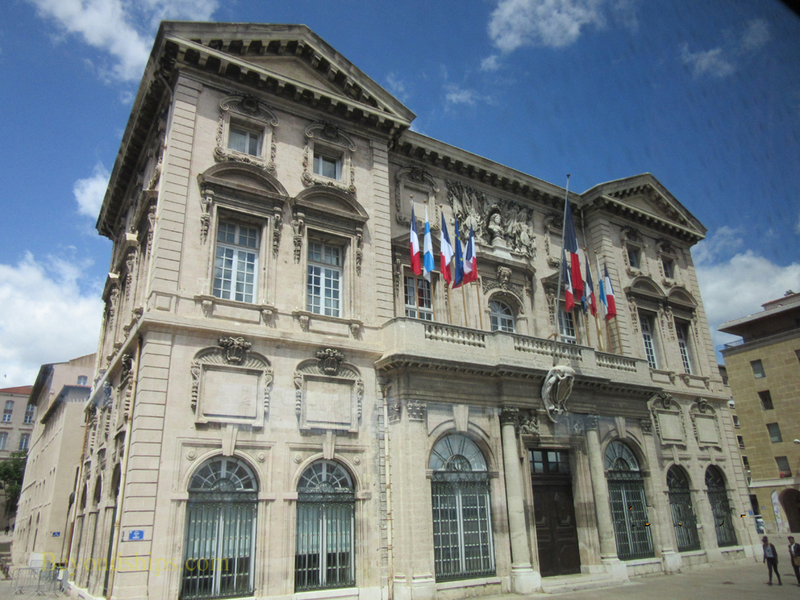 A few streets away is another large Belle Epoch building, La Prefecture. Nearby is the Musee Castini with a significant collection of Modern Art covering1900-60. 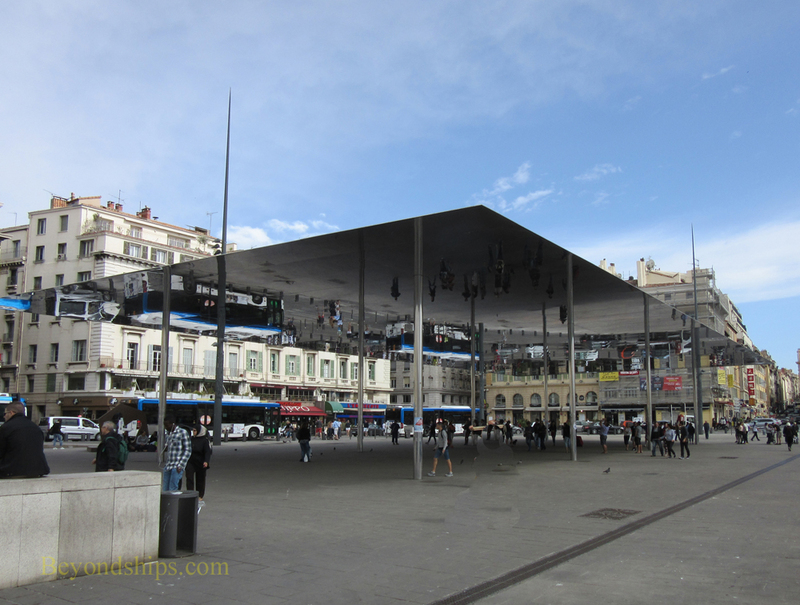 After having gone through some difficult times, the Canebiere is now Marseille's main shopping area. Some of the streets leading off of it have been pedestrianized and also contain shops. At the seaward end of the Old Port are two fortresses guarding the entrance. The one on the Quay de Rive Veux is Fort St. Nicholas and opposite it is Fort St.Jean. King Louis XIV ordered their construction in 1666 to [protect the harbor. However, it has been pointed out that the cannons in Fort St. Jean point toward the city and thus the Sun King's motivation may have been more to quell local unrest than to repel foreign invasion. Fort St. Jean is open to the public. 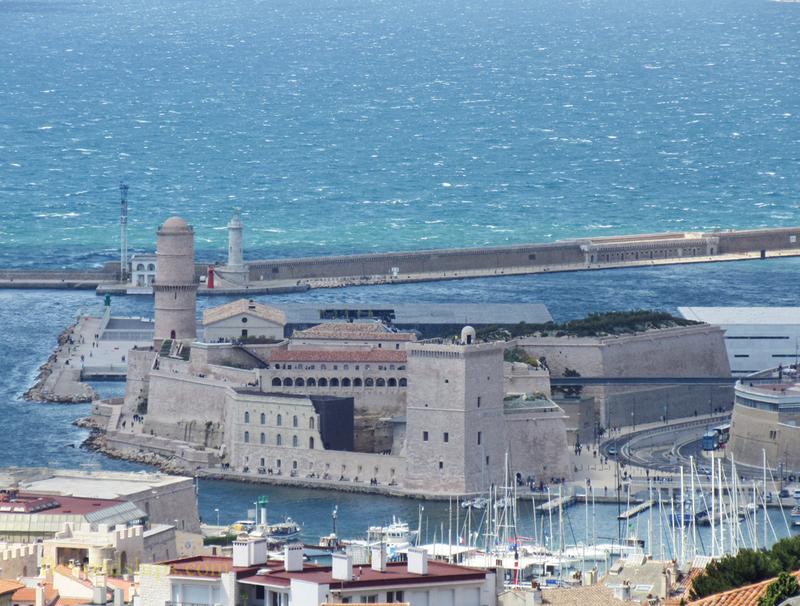 The Germans occupied it during World War II and the detonation of an ammunition dump during the liberation of Marseille severely damaged the fortress. It has now been restored and in addition to the battlements, visitors can see the 12th century monastic hospice and the 15th century Tower of King Rene I of Provence that were incorporated into the fortress. 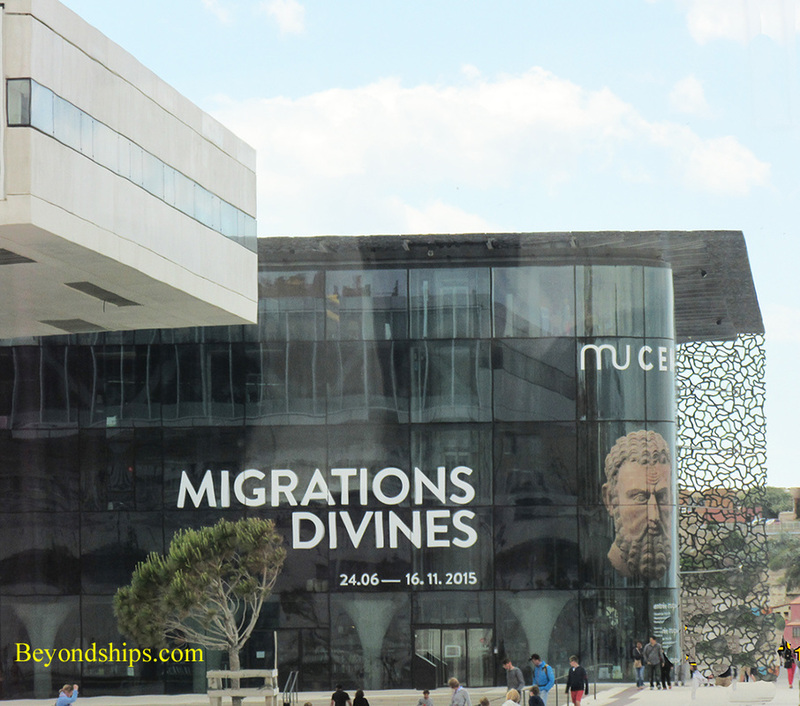 The fortress is connected by bridges to the Musee des Civilisations de Europe et de la Mediterranee, better known as MuCEM. Openned in 2013, this history museum covers 40,000 square meters and has one million objects in its collection. On the Rive Veux side Abbey of St. Victor, once one of the most powerful monastic centers in Christendom. Legend traces it back to Jean Cassin in the 4th century but the archeological record indicates that it may only go back to the 5th century. Destroyed by the Saracens, ithe abbey was rebuilt and fortified by the future Pope Urban V in 1361. During the French Revolution, its treasures were once again destroyed. However, it was restored during the 19th century and subsequently designated a basilica in 1934. Although it remains a place of worship, it is open to the public. 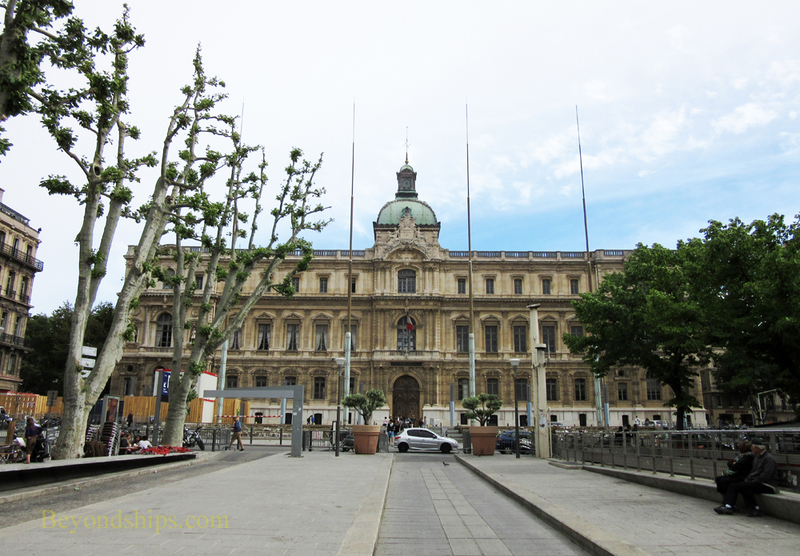 Sites of the Old Port: Above left: Hotel de Ville. Above right: The Ferris wheel. Along the Canebiere: Above left: The street. ​Below: Palais de la Bourse.